Elders vs Gurus: Why Don’t We Listen to the Voice of Experience? What Gary is saying here is profound, and not talked about nearly enough in our culture. Personally, I have spent a lot of time in the past year and a half cataloging my family’s history – scanning in thousands of photos from the mid-20th century, and interviewing older family members about the most mundane aspects of their lives growing up. For instance, I think I have done 12 hours of interviews with my dad so far, and I have called distant family members that no one I know has talked to in the last 30 years. On a personal level, there is an incredible amount to learn from this perspective. Gary’s point is in relation to business – about how we all rush to buy the latest business books who promise to give us some new magical ‘formula’ for increasing wealth. That we spent hundreds or thousands of dollars to see people speak and attend conferences. That all these gurus are popping up with online courses, some costing thousands of dollars. And I wonder – why do we spend our precious resources listening to the young, and totally ignore the wisdom of our elders? Wisdom that has perspective, is free, and that they would love to share? They don’t promise to make you rich quickly. They don’t have ironic humor, or reference Glee. They require us to think deeply, not rush to solve a specific problem. So instead, we listen to the young. Some of who are brilliant, and should be listened to. But some of these people have never owned a business. Never run a business. Or they’ve found one cool trick that worked a single time, and are trying to create a ‘system’ out of it. They create things that seem ‘of the moment,’ even though we are trying to create businesses that can sustain across the span of decades. They talk about theory instead of experience. It is given without any remuneration. It is shared with perspective of decades, not months. It comes slower, and takes longer to implement. It builds something with a legacy in mind. It stops to smell the roses. 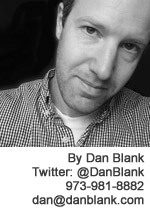 Let me know if I can help (even though I’m not 90): @DanBlank, 973-981-8882 or dan@danblank.com.